One of the great things about books on design is that they themselves are often well designed. Above the Fold is no exception; boasting over 250 glossy, luxurious pages, filled with great imagery, quality typography, and considered, controlled layout. Above the Fold is more than a book about Web design, it’s a book about the fundamentals of sound communication design set within the context of the Web. Semantics? Hardly. Most books on Web design assume many things about the reader and skip right to the nuts and bolts of the technology behind the design. Above the Fold looks at the basics of hierarchical communication with the specific considerations inherent in Web design. Section one explores the areas of Web design and typography and includes a brief history of Web design timeline, anatomy of a Web site and the elements of Web design. Each chapter features relevant examples to illustrate the points being discussed. 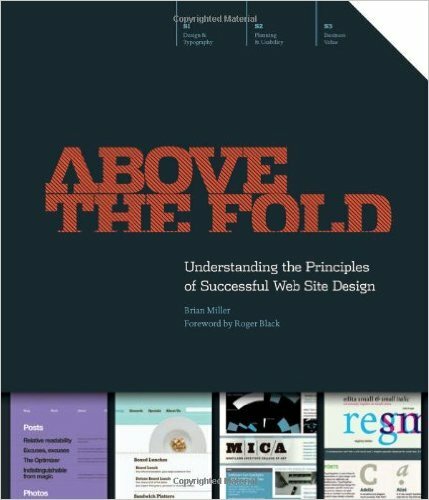 Section two of Above the Fold helps the reader understand the steps necessary to begin a successful Web design project. From project planning and creative briefs to mapping and wireframing, this section has practical information about the process of designing for the Web. Also in this section are the elements of usability — the items and areas a designer must consider to ensure the best user experience. Section three examines the business aspects of Web design including attracting users and maximizing their value. Methods of attracting users like search engine optimization and various types of marketing — social marketing, viral marketing, email marketing, for example — are looked at from the perspective of the designer. Finally the book finishes with a primer on Web traffic analysis and how it affects the design process. 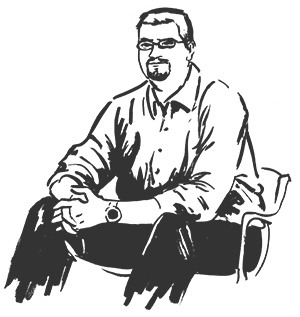 Brian Miller is an award-winning designer and lecturer who specializes in branding for the Web and print. In addition to managing the Brian Miller Design Group, he teaches design at the Shintaro Akatsu School of Design, and is an executive member of the board of directors for the Type Directors Club.